You got any others? Let me know by posting below. Thank you very much for reading my first thread. I am sorry to be critical in responding to a first posting but where is the justification for any of these links? Is Dagenham really so short of buses that it needs umpteen extra routes? Do you happen to live in or near Dagenham given the volume of extra routes proposed for that area? We certainly do not need the 145 to be extended. That route already struggles badly with the impact of traffic congestion so making it vastly longer would just make it more complicated to run, difficult to schedule efficiently and make it much more likely to be delayed. Given the 257 is not jammed full north of Leytonstone nor are the 357 from Whipps Cross or the 215 to Chingford then I cannot see the point of yet more buses running across Leyton and Walthamstow. I would also caution that another 10-12 bph through Walthamstow Bus Station would run a risk of the place jamming up with all services being delayed. I would also seriously question the merit of a bus from Grange Hill to London City Airport and of extending the EL1 and EL2 there. Many of the proposed stops parallel rail routes with very frequent services and with a one or two stop change to the DLR at Stratford / Canning Town where there are escalators and lifts for people flying. At off peak times the PAYG fare for the rail journey is only 5p more than a bus so rail represents very good value for money and would be faster. 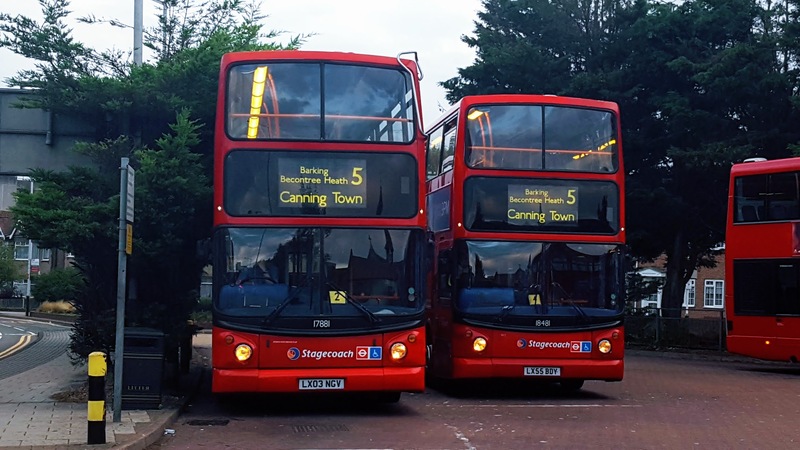 I certainly cannot see any need for more buses at Grange Hill - the 362 and 462 are hardly overwhelmed with passengers nor is the Central Line. Judging by your avatar you appear to be the same Rockorange who has overloaded the District Dave RIPAS section with endless ideas for unjustified rail and tram routes. I think we all like to "play with crayons" but let's please be realistic about what is really needed in terms of rail, tram or bus routes in London. We have had hundreds and hundreds of ideas from posters on this group plus many threads about TfL plans past and present. It would be good to take a bit of time to look at the archives before overloading us with loads of extension ideas without any apparent justification. I don't think the 115 needs to go to Dagenham via Beckton,The 5 already goes to Dagenham and links the 115. I also don't think it'd be the best idea. Also I think it would probably be beneficial extending the 238 towards Bow rather than sending it further East. I would also seriously question the merit of a bus from Grange Hill to London City Airport and of extending the EL1 and EL2 there. Many of the proposed stops parallel rail routes with very frequent services and with a one or two stop change to the DLR at Stratford / Canning Town where there are escalators and lifts for people flying. I certainly cannot see any need for more buses at Grange Hill - the 362 and 462 are hardly overwhelmed with passengers nor is the Central Line. Well, I think the 115 should, instead, terminate at Barking. I now think that Dagenham is too far. As for the 238, I'm behind this. I'd rather go east. There are already buses that go to Bow from Stratford but, there are no buses from Dagenham to Stratford. Also, correction, the 5 does not go to Dagenham. It goes to Becontree Heath but, close enough. For the people in South London who want to go to Birmingham, that would be EXTREMELY useful. Or, should I say, EUSFUL! I'm so sorry, that just slipped out of the darkest chambers of my mind. That is too far. Why would 166 be needed to go all the way there? 472 to Gallows Corner is also too far. Well, If Gallows Corner is too far and Romford is too short, I guess that Collier Row is just right. For the 166, the reason I wanted to take it there is so families in Croydon and Epsom could get to World of Adventures all in one bus. At least, I think the section beyond Banstead should get more services. To be honest, I think Wood Green is too far. 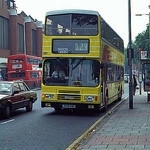 Brent Cross is probably as far as you could go with the 235 so, I think that is where it should end. People, I did not name this FANTASY Bus extensions and routes that should be. RM5chris renamed it too that. Quick message to him. Can you please get rid of the "that should be" part of the title? Also, any one who wants to change the title of a thread of mine, can they please consult me first? Thank you.